> 100 N Riverside is a Modern-style skyscraper, designed by Perkins and Will that cost $170 million to build. > It was originally built for the Morton Salt Company until Boeing moved to Chicago and selected the building for its headquarters in 2001. > The southwest corner is suspended by steel trusses to allow commuter trains to pass underneath. 100 N Riverside is a Class A Tower. There are three classes of towers, with 'A' considered to be the highest grade of urban construction. That means a few things: the building is well-located, it has good access, and it is seen as well-managed. As a result of this, they attract the highest quality tenants and also command the highest rents. A view of 100 N Riverside from the Chicago River. Image source: Kimberly Vardeman, CC BY 2.0, No changes made. The building was originally built for the Morton Salt Company. 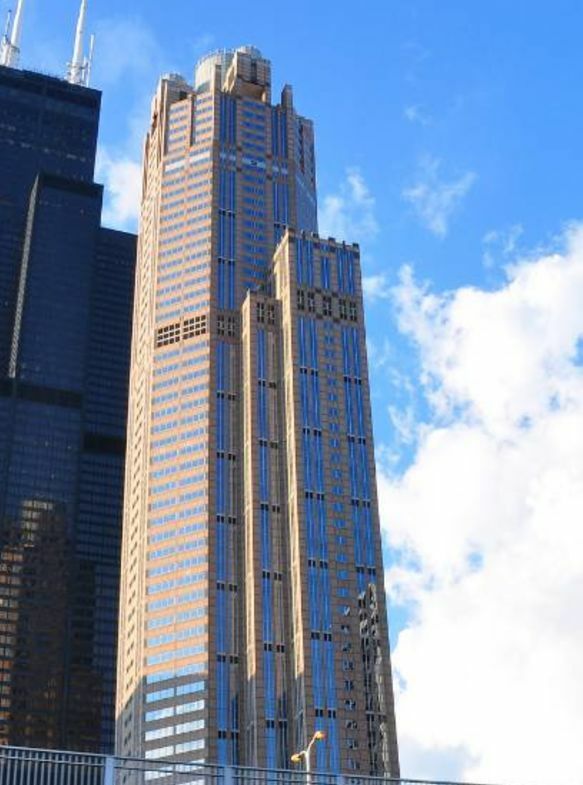 In 2001, Boeing bought the building when they moved headquarters from Seattle to Chicago. It includes amenities such as a restaurant, concierge services and a Riverfront plaza for taking advantage of the views. 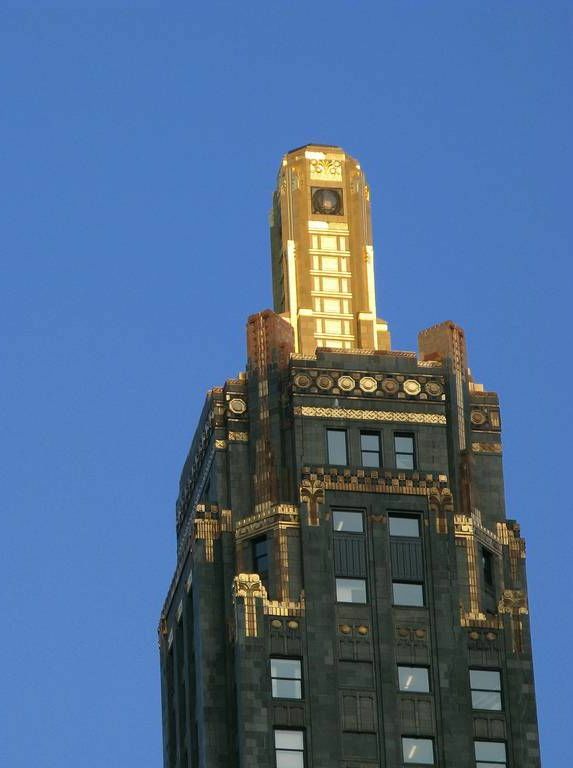 The beauty in simple design has not been unrecognized at 100 N Riverside. Image source: Leigh Ann, CC BY-ND 2.0, No changes made. The reason 100 North is the subject of so many accolades worldwide goes back to its cooperative engineering innovations. Awards include BOMA 360, Energy Star, U.S. Green Building and Outstanding Building of the Year in 2018. As mentioned, the building is constructed with a system of steel trusses that support the southwest corner, which allows the Amtrak and Metrorail commuter trains to have full clearance underneath. Inside the building are a number of benefits that result from thoughtful engineering. It's designed to maximize the rentable office space, where there are virtually no columns. Space is large and flexible enough to accommodate the needs of various commercial tenants. 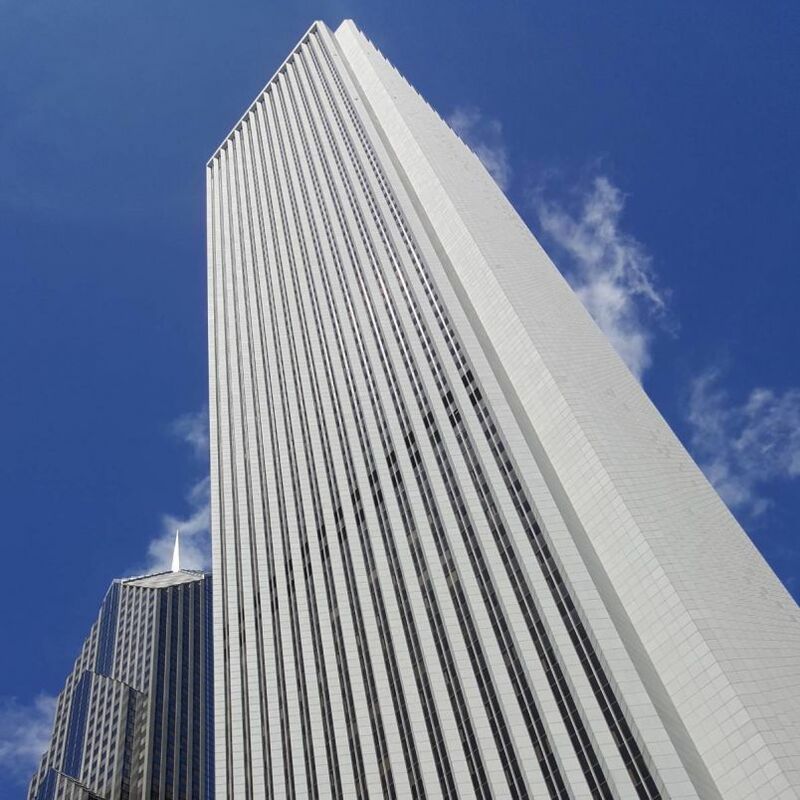 100 N Riverside was built for $170 million in 1990 dollars, which is equivalent to about $326 million today. Cover image source: Kimberly Vardeman, CC BY 2.0, no changes made.